In a victory for digital billboards, a federal appeals court today said the government acted properly in guiding states to regulate this new product nearly a decade ago. Scenic also claimed that FHWA violated proper procedure by issuing its Guidance in 2007 without notice-and-comment rulemaking. The appeals court ruled that Scenic America did not have “standing” to bring this claim. In 2013, Scenic America sued the U.S. Department of Transportation and its Federal Highway Administration (FHWA) as part of its attack on digital billboards. OAAA intervened on behalf of the out of home advertising industry, in support of the government. Responding to states’ inquiries, FHWA issued a memo on September 25, 2007, saying states could permit and regulate digital billboards. Government regulations and industry self-regulations conform to these federal standards. The FHWA Guidance was not procedurally flawed and that the agency’s guidance was an interpretation that did not require rulemaking with notice to stakeholders and comments from them. Digital billboards do not violate Federal State Agreements that regulate “intermittent” light. Digital billboards are consistent with the Highway Beautification Act (HBA) for “customary use”. In 2014, U.S. District Court Judge James E. Boasberg dismissed all counts with prejudice. Scenic America appealed, advancing two claims, relinquishing Claim No. 2. On appeal, the Circuit Court rejected both remaining claims. A three-judge panel of the U.S. Circuit Court of Appeals for the District of Columbus heard oral arguments on September 25, 2015, eight years to the day after FHWA issued its Guidance in 2007. The government was represented by the U.S. Department of Justice. 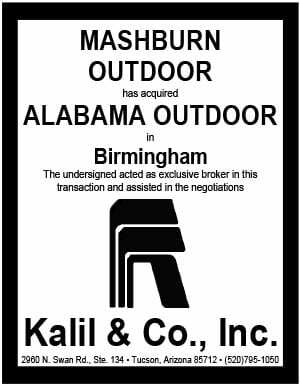 The Outdoor Advertising Association of American (OAAA) was represented by Kannon Shanmugam of Williams & Connolly. 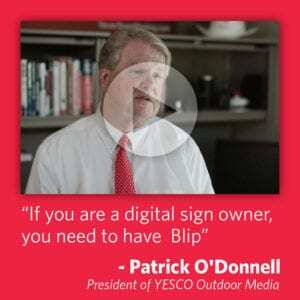 Nationwide, 6,700 digital billboards are in operation, according to the most recent OAAA survey of manufacturers and media companies. OAAA is the national trade association for the out of home (OOH) advertising industry. Founded in 1891, the association represents more than 90 percent of the U.S. industry based on revenues. OAAA is dedicated to leading and uniting a responsible OOH industry committed to serving advertisers, consumers, and communities. The OOH industry generates $7.3 billion annually in ad revenues and donates more than $500 million in space each year. For more information, please visit www.oaaa.org.